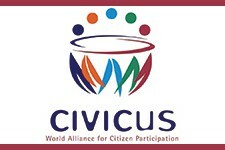 CIVICUS: World Alliance for Citizen Participation is an international alliance of civil society organisations which was established in 1993. The Youth Action Team’s primary role is to provide strategic, informed advice on how youth participation issues can be better mainstreamed in CIVICUS’ programmes, and on how CIVICUS can develop new activities to strengthen youth voice in civil society. Working with the support of the Youth Action Team, CIVICUS intends to build new partnerships and secure increased resources to scale up new initiatives on youth participation. Through an open recruitment process, ten young people have been selected as Youth Action Team members for 2016-2019. The full list of YAT members is available here: http://www.civicus.org/index.php/en/about-us-125/youth-advisory-group. CIVICUS has two main membership categories open to individuals and organisations: Associate Members (free lifetime standard membership) and Voting Members (paid annual membership with voting rights, for verified civil society organisations or individuals). The CIVICUS Youth Assembly and World Assembly take place every year and are the global gathering for youth and civil society. Organisations from around the world attend the conference which is a mixture of workshops, side events, panels and speakers. All costs for attending the Assemblies are paid for by participants though sponsorship is available for young people attending the Youth Assembly. The International Civil Society Week took place in Bogota, Colombia in April 2016.